Sensex and Nifty closed marginally higher on Friday. Major gainers were SBI, L&T and HUL that rose by 6.2 per cent, 3.9 per cent and 2.99 per cent, respectively. 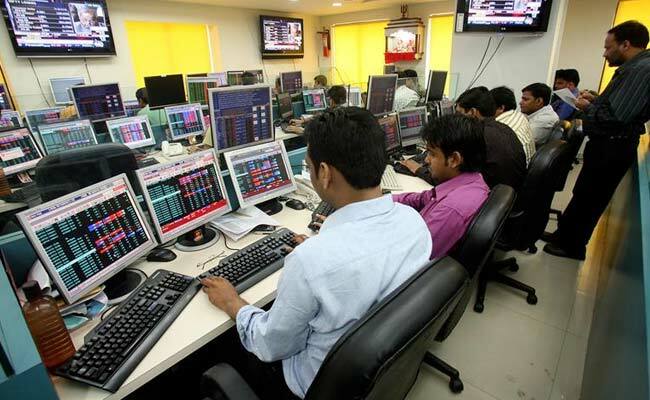 Mumbai: Market benchmark indices were nearly unchanged on Friday, with refiners such as Reliance Industries Ltd (RIL) tumbling as oil prices gained overnight and Tata Motors Ltd down after it said its British unit faced intensifying competition. Sensex closed 64 Points Higher at 33,315 points while Nifty settled at 10,321.75 points, 0.12% higher on Friday. Major gainers were State Bank of India (SBI), Larsen & Toubro (L&T) and Hindustan Unilever (HUL) that rose by 6.2 per cent, 3.9 per cent and 2.99 per cent, respectively. The biggest loser was Tata Motors that fell 4% to close at Rs 422.60. Oil prices rose nearly 1 per cent on Thursday, supported by supply cuts from major exporters as well as continuing concerns over political developments in Saudi Arabia. "Political tensions amidst emerging power struggle in the Middle East is responsible for the rise in crude oil prices," Axis Securities' analysts said in an email to Reuters. "As a result, oil marketing companies are trading lower." The broader NSE Nifty was 0.04 per cent lower at 10,305 as of 11.21 am, while the benchmark BSE Sensex was flat at 33,253.76. The NSE index was on track to end 1.40 per cent down this week, while the BSE index was on track to lose 1.3 per cent. The Nifty energy index fell 0.7 per cent, with Reliance Industries down 1.3 per cent and Hindustan Petroleum Corp 1.5 per cent lower. Tata Motors Ltd dropped as much as 4 per cent after it said it expects sales for its flagship British unit Jaguar Land Rover to soften in the United Kingdom and the United States due to challenge from competing carmakers. Aurobindo Pharma Ltd fell, despite a better-than-expected 29 per cent increase in second quarter profit. Analysts said positive sales growth did not translate into strong profit due to weaker-than-expected gross margins and EBITDA margins. Larsen & Toubro Ltd, however, gained and was among the top gainer on both the indexes, after its unit L&T Construction won orders worth Rs 4,023 crore.